The site of the collapse was in a central area of the city beneath an eight-lane road. An area the size of two basketball courts sunk to a depth of 20 ft., according to state broadcaster CCTV. BEIJING (AP) — A cave-in at a subway line construction site in southern China killed eight people and left three others missing, authorities said Feb. 8. The municipal government in Foshan said the collapse occurred at 8:40 p.m. Feb. 7, and that nine workers were rescued and were in stable condition. Foshan is in the industrial heartland of Guangdong province, close to the financial hub of Hong Kong. Water had been entering the site from leaks in pipes, which workers attempted to plug but ultimately caused a burst that led to the collapse, CCTV said. The line under construction runs for 14 mi. through the city north of the provincial capital of Guangzhou, also known as Canton. The rapid expansion of subway networks in Chinese cities has frequently led to cave-ins and other deadly accidents. While China has made considerable progress in improving industrial safety, scores are still killed annually in factories, coal mines and transportation networks. 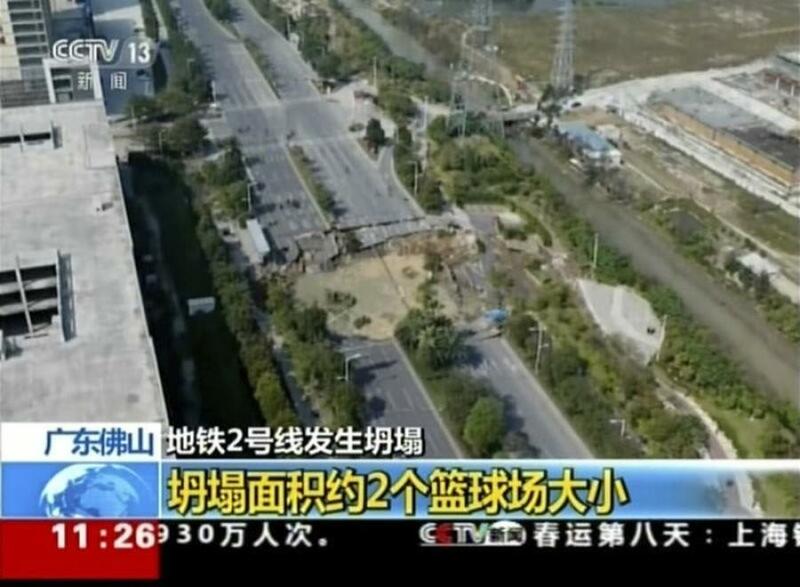 Most recently, gas leaking from a pipeline at a steel mill in Guangdong killed eight people and injured 10 on Feb. 5. In the deadliest recent incident, an explosion in 2015 traced to improperly stored chemicals killed at least 173 people in the port city of Tianjin, about an hour east of Beijing.